Open: Mon - Thurs 9am-5pm. Community nature reserve thriving as a wonderful example of land use from industrial reclamation. 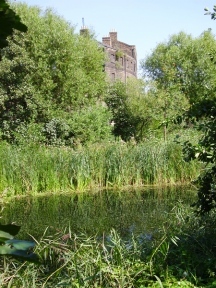 The two acre site slips between the Regent's Canal, with its lock and narrow boats, and the gasometers behind Kings Cross and St Pancras Stations. 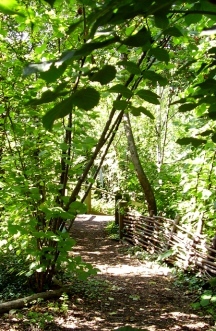 A path takes you around the site, through different habitats. 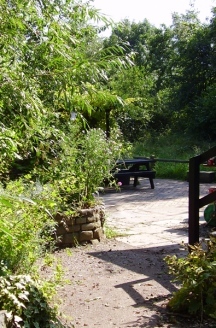 These include a wildflower meadow, pondside areas with associated marsh, open water and reed bed habitats, and the light woodland which encloses the park. 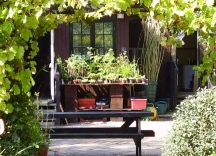 The Visitor centre regularly runs activities for children, and has lots of information.
" You would never guess this was here. It is just behind Kings X station."